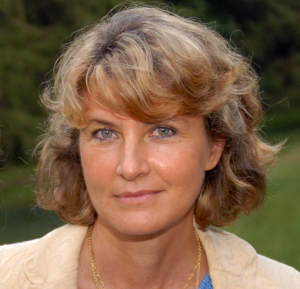 Luciana Bianchi is a Research Professor in the Department of Physics and Astronomy of the Johns Hopkins University. Previously she held positions at the Space Telescope Science Institute, the European Space Agency, and Italian institutes. Her research interests include hot massive stars and post-AGB objects in the Milky Way and nearby galaxies, young stellar populations, star formation and the inter-stellar medium. She has been involved in design, development, or science operations of space-borne UV observatories including IUE, FUSE and GALEX. She was a science co-Investigator and core-team designer of the GALEX mission (2003-2013). She conducts the "UVsky" project, which combines multi-wavelength data (GALEX, SDSS, Pan-STARRS, 2MASS,...) to characterize the 300 million UV-sources from the GALEX surveys, as well as time-domain information. She led observing projects with VLT, Gemini, APO and other ground-based instruments, with IUE (34), FUSE (7), GALEX, and 16 programs with HST including a large treasury survey of nearby galaxies (882 Hubble images); she is co-I in many other HST projects including treasury programs and a multi-cycle treasury program that used over 800 Hubble orbits to map one fourth of the Andromeda galaxy. She is co-Investigator in NASA rocket projects with UV instrumentation, participates in science programs of new UV instruments, and in the concept design of a proposed NASA probe. She authored about 500 scientific publications; she served as panel member or panel chair for NASA, the European Research Council of the European Commission, other National committees, and as evaluator for the Russian Science Foundation and other scientific organizations. She is a member of IAU, AAS, EAS, and SEA. In addition, she fosters multidisciplinary synergy and educational initiatives; she participated in NASA Science Mission Directorate’s "Origins", "Universe" and, recently, "SEPOF".